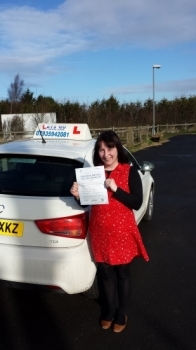 I came to Sam after my previous Instructor and Sam instantly improved my driving ability. Sam gave me the confidence I needed and was very patient. 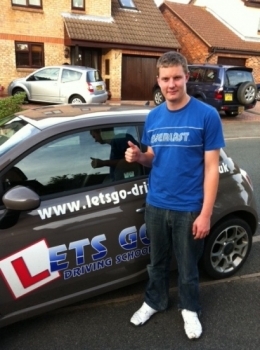 Sam from Lets go driving school was not only fun but taught driving skill for life. 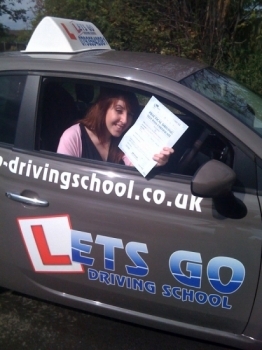 As a result by the help of Sam I passed my driving test First Time after only a month. 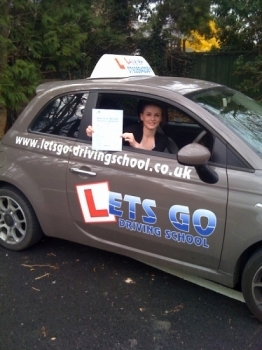 Sam is an excellent driving instructor I would recommend him to anyone thanks Meg..
As you know I have passed my test today! I want to say a big thank you Sam. I would recommend you to anyone wanting to learn to drive. You are patient, explain things clearly and you helped built my confidence where needed. I have used other instructors before but I have to say you are the best by far. Many thanks again. 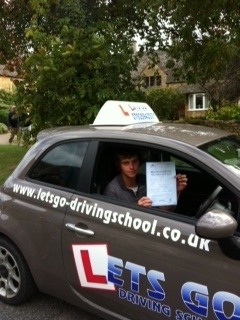 Hi Sam thank you very much for getting me past my driving test! You have been a really good teacher and you have been fun to drive with. I've passed my test and have been left with good memories of learning with you. I highly recommend you to anyone who wishes to learn to drive. Passing first time with only two minors is something I did not expect from the start; however with Sam I was able to do so. I felt that with Sam he had a lot of patience, we progressed at my own pace. If I didn't understand something clearly he would keep explaining until I understood. Sam is a great guy to get along with which makes the lessons a lot more enjoyable. 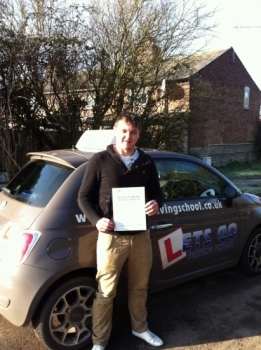 Thanks for everything, I would recommend Sam to anyone learning to drive.. what are you waiting for give him a go. all the best "
Sam was an amazing instructor with his relaxed humorous approach I soon found confidence with my driving I couldn't of asked for anyone better from start to finish Sam was professional practical and would tackle every problem head on no matter how small, he seemed to have at least 3 anallergys to every problem so you would always understand one way of fixing the problem or understanding a manouvre. 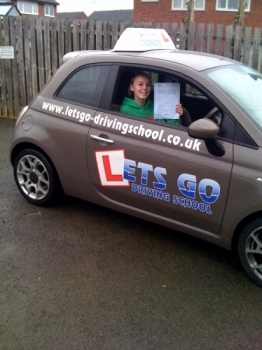 I would recommend Sam to anyone of any age and thank you again Sam! I have been driving with Sam only for few months and I passed my test. His way of teaching it’s very relaxed. It’s also fun to drive with him. So don’t hesitate. 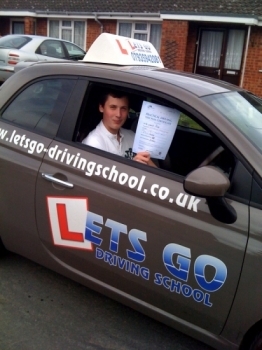 If you want to pass your test give him a call. Wow, can't believe it I've finally done it!!! Sam's teaching has been incredible, when I needed help he gave it me it was very helpful and constructed. Explained everything in to detail in a way I would understand I always felt calm with Sam. Now I have freedom, can't recommend Sam enough! Sam is a great teacher and makes the lessons enjoyable and easy to understand. I feel that when it came to the time to do my test I was fully prepared. 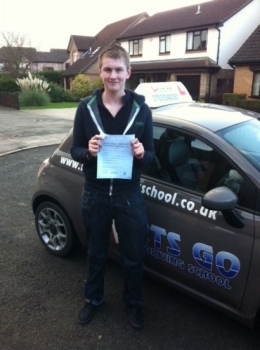 I would definitely pass his name on to other people as I feel they will enjoy their experience learning to drive." My driving experience with Sam as a teacher was very enjoyable, because not only was I able to learn well in his presence, I was also comfortable to ask any questions. 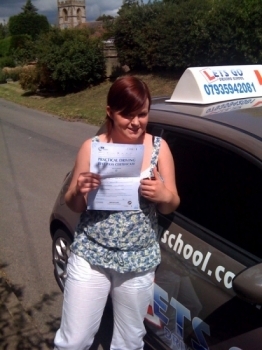 Sam provided me with the knowledge to become an even better driver, even after passing my test. 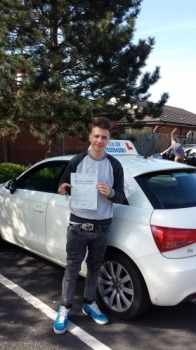 I only had 3-4 lessons with Sam, on such a short notice, but even though time was not necessarily on our side, Sam still took the time out of his own time to help me pass my test. He taught me very well, within such a short amount of time and showed me how to drive in a safe and respectable manner. 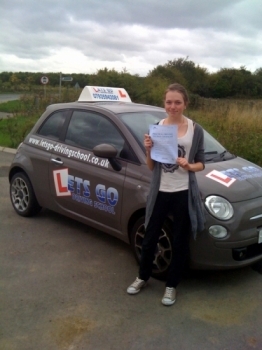 Sam has helped me massively because I am now able to drive safely and I always have full control of the car when driving. He is able to relate to his drivers in such a way, that I would have no worries about approaching him with any questions, before and after passing my test. 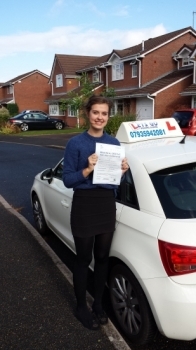 Sam provided me many simple and 'easy to remember' tips and references, these help me now to be safe on the road and they have also largely improved my driving, since passing my test. I would strongly recommend Sam to all learners within all different age groups, as his method of instructing is advanced but can also mold to fit one's specific learning type. 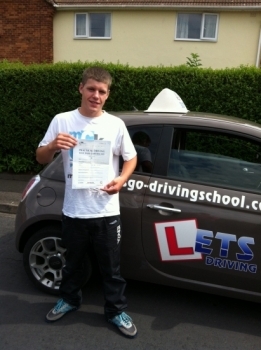 Sam's instruction and guidance through the time it took me to pass my driving test, was convenient, helpful and well constructed. Started with Lets go after being with 2 previous instructors, wasn't very confident seeing as the previous instructors weren’t very helpful. 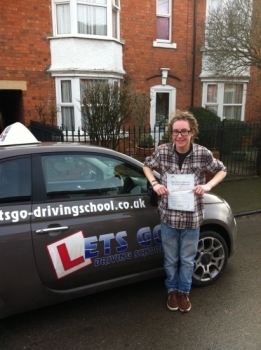 With lets go Sam helped me build my confidence in driving, taught me the correct way of driving, and always told me ways to improve when mistakes were made. Passed today First time with 3 minors, feeling confident and knowing that if I failed, Sam would help me improve for next time. Recommended by a friend and thought I would give Sam ago, was really surprised on my first lesson how at ease I felt. Didn't go on any industrial estates and went straight onto the roads. Any problems were fixed straight away no matter how big or small and Sam always listened and took action with anything I wasn't sure on! Great Instructor thanks Sam. 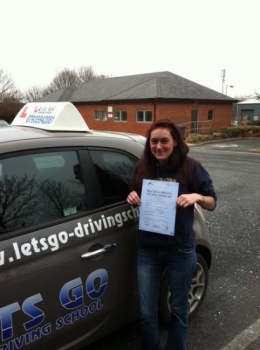 I had previously used another driving school and had found that I was not happy with that school, but I then decided to change due to a recommendation from a friend. I found Sam from lets go driving school to be patient, assertive and an extremely good teacher. There was no time wasting and problems that occurred got fixed instantly. I would definitely recommend let's go driving school. Thanks again Sam. Passed my test first time with only 2 minors. 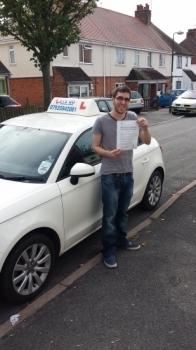 After coming from another driving instructor I rebuilt my confidence with Sam! I have had fewer than 30 driving hours all together but has been nothing but a pleasure driving with Sam! 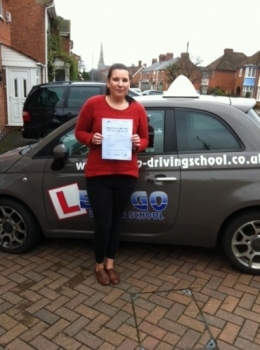 Thank you for helping me pass first time!! 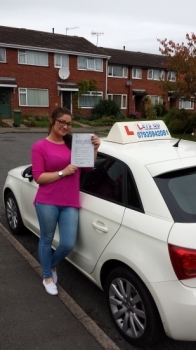 "From one student to another; if you want a driving instructor to teach you from the first lesson with no messing about this is the driving school for you. Teaching was outstanding, taught efficiently and fun; there was even help with theory during the lessons. I had absolutely no complaints. Ultimately it´s your decision but as a previous student myself I would definitely recommend Sam and I think you´d miss out if you went with anyone else.Many thanks Sam for your help.. 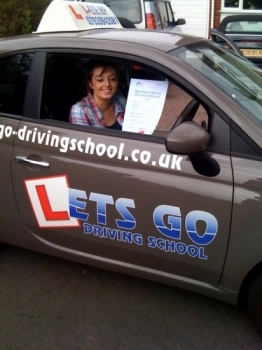 I found Sam an excellent driving instructor as we were out on the roads on my first lesson so there was no time wasting. His advice was very clear and easy to understand. 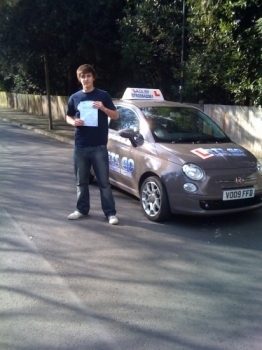 I passed first time with 2 minors thanks to his education. 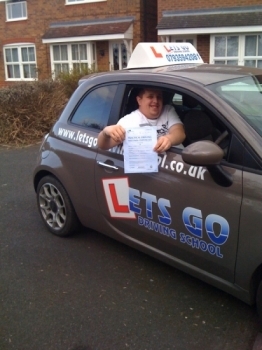 Sam was a great instructor who would always find time to sort out any driving problems I had, He made me feel comfortable and relaxed on each driving lesson making it a fun way to learn how to drive. 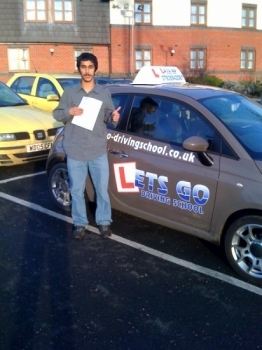 I would recommend him to anybody seeking a fun and friendly way of passing their driving test. Thank you Sam for getting me on the road. I came to Sam after being with another instructor when I lived in Stratford upon Avon. On my first lesson with Sam he gave me a mock test and identified my faults and then planned lessons to fix them. He made Learning to drive easy for me to understand Sam built up my confidence, he made me believe in myself and that I could pass which I did. I definitely recommend people learn with you. I came to Sam after being with another instructor, on the first lesson he gave me a mock test and identified my faults and then planned lessons to fix them. I always came away from a lesson with a better understanding and a smile on my face. Sam built up my confidence, made me believe in myself and that I could pass which I did with only 1 minor. 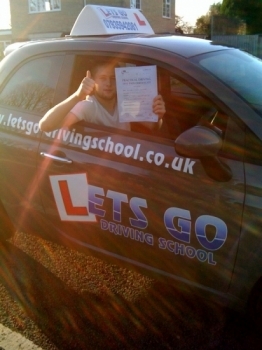 Sam your a great instructor and thank you so much for all your help, I will definitely recommend people learn with you. See you soon for Pass Plus. 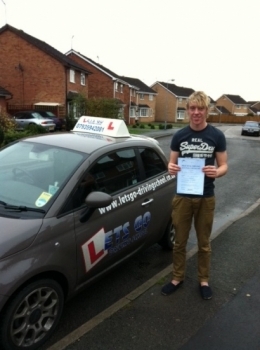 Thanks again Sam for helping me pass my driving test 1st time with only 2 minors, and only 24 hrs of driving lessons. 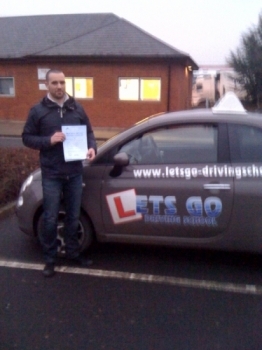 Sam an excellent driving instructor, the teaching methods are brilliantly suited to what I felt was best. But also we got to know each other, which helped to make me much more relaxed! The lessons were professional, and without any time wasting. I was on the road on my first driving lesson. Always on time and very flexible, I would recommend Sam to anyone, youre the best Sam many thanks Marco. 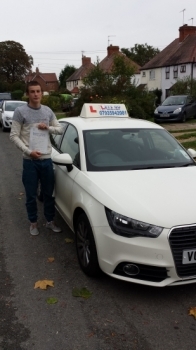 I passed First time with 4 minors thanks to Sam, I would strongly recommend him to any one because he is very patient and will never waste time. Every lesson that i had i was making progress and i never felt rushed. Thank you very much Sam. Learning to drive with Sam has been brilliant and so much fun! He really helped me with my confidence and learning to do manoeuvres in what seemed like seconds. He is lovely to drive with and has loads of patience. He is very flexible, he picked me up from home and from work, whichever suited me best. I will recommend him to anyone who wants to learn how to drive, thank you so much Sam!! 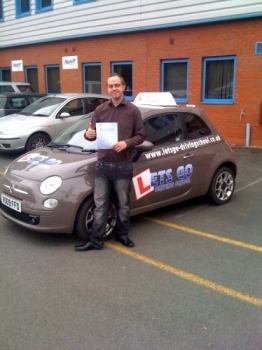 Sam is an excellent driving instructor who takes a professional yet fun approach to his lessons. 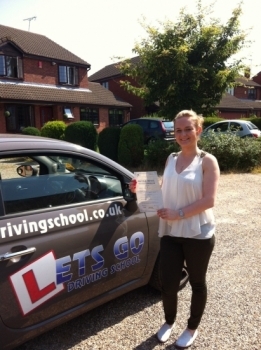 Today, i passed my test first time with 3 minors on a difficult route. 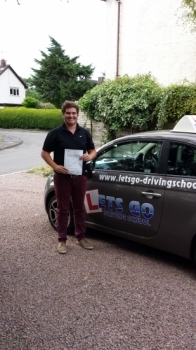 He takes his time in his lessons, never rushes you and being picked up and dropped off at places before and after the lessons was helpful.I would highly recommend Let's Go driving school to anyone looking to learn to drive, thanks again Sam. After switching to Sam from another Driving School, I found Sams teaching style to be far more engaging and well planned out. After assessing my driving, he found the areas I had the most difficulty with and focused my lessons on them until these areas were at the same level as the rest of my driving. Sam helped me overcome my troubles with roundabouts very effectively. Using diagrams and talking me through the routine, his guidance allowed me to feel much more comfortable and confident throughout. Sam has a friendly and informative manner that would be hard to beat. 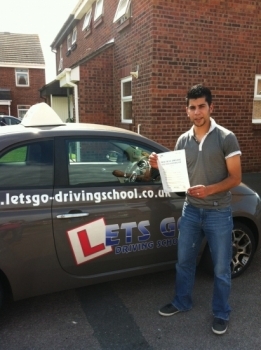 I am very pleased with Sams lessons and I would not hesitate to recommend him to a friend. Thanks for everything Sam, certainly wouldnt have done it without you! only 4 minors. I couldn't have done it with out you Sam you the best. Couldn't have asked for a better driving instructor. Would Recomend to every one. Thanks a million. 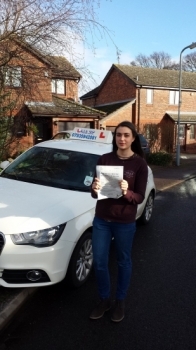 Sam is a great driving instructor; I Passed First Time with 2 minors, with only 27 hour lessons, lessons were very productive and with no wasted lessons. Would recommend him to anyone! Thanks Sam! 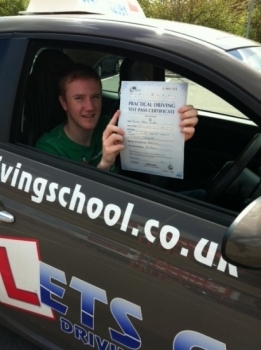 Due to having a previous instructor before Sam made me realise just how good he is! He creates a great atmosphere and friendship making your lessons fun at the same time! It didn't take long for Sam to get me ready for my test as he doesn't mess around, straight on the road which is where you want to be! Can't thank him enough! Will be recommending to everyone!! Hi, Sam, just want to say thank you for everything. 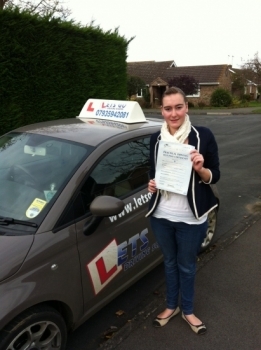 I Passed with Sam First Time with 2 minor. He is a great driving instructor. Very professional, never rushes; explain every single thing step by step. Always on time, pick up from the place is comfortable for you. I enjoyed every lesson, and many thanks again, I couldn't do without you. I would recommend Sam for every one who want start to drive. 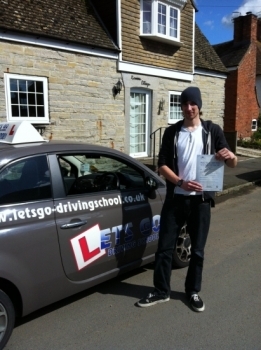 Met Sam on my first driving lesson and immediately found him to be fun and easy to get on with. Having heard about first driving lessons from my friends I was not expecting to be driving much. It was quite the contrast. After a brief talk we headed out onto the roads at rush hour, this was great and I knew straight away that I wouldn't be wasting time or money in these lessons. 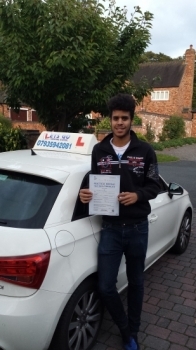 His lessons continued to be thoroughly enjoyable and with easy to learn techniques of Sam�s I quickly grew in confidence on the roads. Every lesson was packed full and yet remained quite informal and fun (impressive considering some busy circumstances in towns). 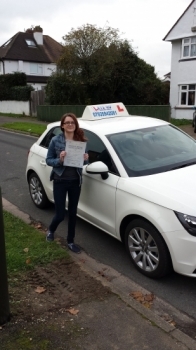 After very few sessions of driving the lessons were no longer focussed on confidence and driving in comfort zones but became focussed on the technical details that would come under the practical test. I was shocked at how quickly this was achieved. 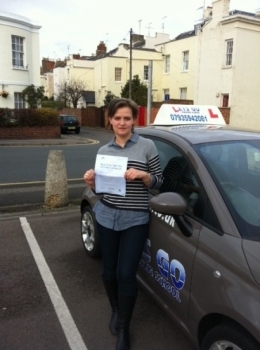 Soon enough I was pleased to pass my practical test and have Sam to thank for that! Sam is a great driving instructor who is down to earth and tells you what�s what and doesn't mess you around in driving estates wasting your money. He gets you ready for your test as quickly as possible. Like he told me in my first lesson, "listen to me and there is a 99% chance you will pass first time". 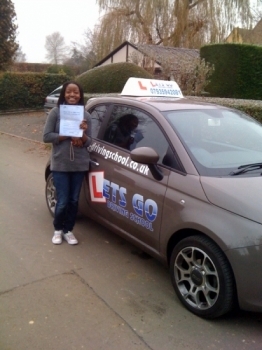 And I did Pass First Time. The results speak for themselves! Thanks very much Sam, all the best! 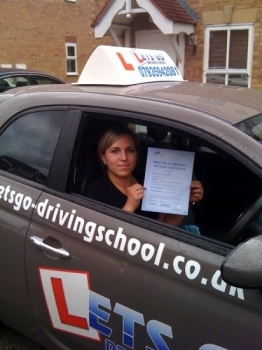 Sam is a great driving instructor; loads of patience, my lessons were all well structured and never rushed. I always felt comfortable and at ease which made me more confident. The lessons times were flexible which fitted in with my other commitments. I passed first time after 7 weeks of being 17! 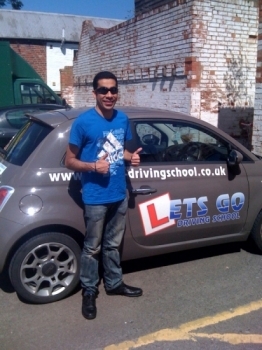 Learning to drive with Lets Go Driving School was a fun and relaxed way to learn the skill of driving. I passed first time. safely. Thank you Lets Go Driving! 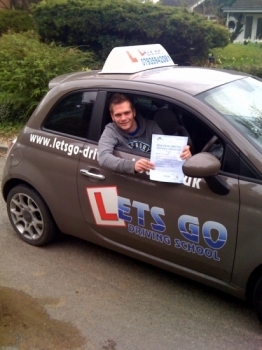 I contacted Sam from Lets Go Driving School to just take a couple of refresher lessons. I recently moved from Spain to the UK and hence wasn't used to driving on the left since I had driven in Spain all my life. 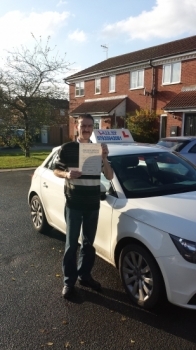 I chose Sam because I had read what people had written from him on the website and I can assure anyone that he is the best driving instructor I�ve had. He knows what he�s talking about and is very calm and friendly and makes you feel at ease while driving. 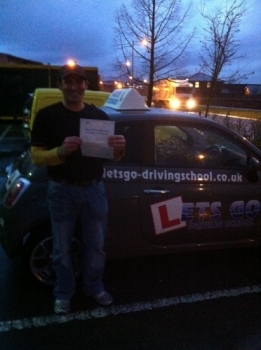 After just 4 hours I was confident enough to drive in the UK and even had some motorway tuition. I would recommend Sam to everyone as he will actually teach you how to drive and help you be a better driver. 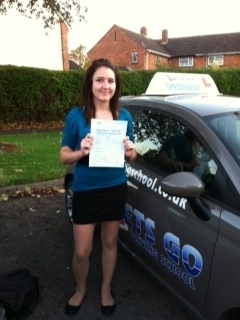 Thanks for helping me pass my test fisrt time, Sam is a great driving instructor, very helpful and patient. Always on time and never late, the lessons were always relaxing never rushed. 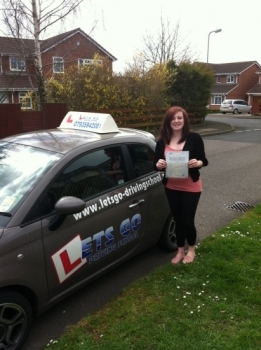 I got to drive on my first lesson no time wasting, always made progress on every lesson. Would recommend Sam to every one, thanks for all your help and patients . 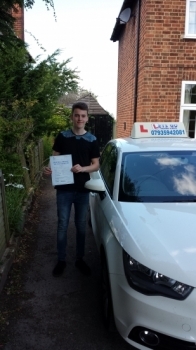 I Passed First time with Sam, Sam allows you to experience real driving on real roads from the word go no industrial estates and he guarantees you will be driving yourself home on your first lesson. Sam showed me different ways in which to learn all aspects of driving from theoretical to practical. 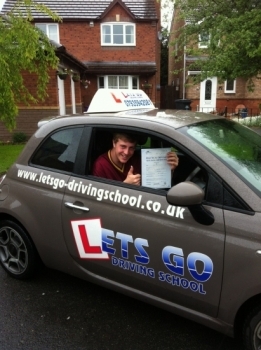 excellent Driving instructor would recommend Sam to anyone. Best thing I ever did going with Lets go driving school. 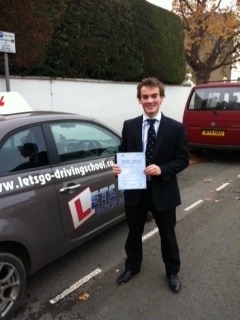 Very pleased to have passed my driving test, always felt comfortable under Sam's instructions. Sam has lots of patience, can teach same thing over and over again until you get that right. Sam's way of teaching is very simple, easy to understand and hard to forget.He's got amazing tips to give to all those learners. Sam is friendly, yet professional at the same time. Sam's fees are reasonable or comparatively cheaper than others. Overall, excellent instructor with wide experience, would recommend anyone. Thank you Sam. 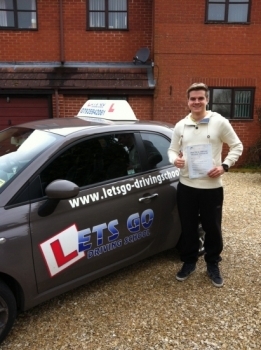 Sam is a fantastic instructor he creates a calm and very relaxed learning environment. He helped me to go through a novice level of driving and got me through my test in just 25 hours. 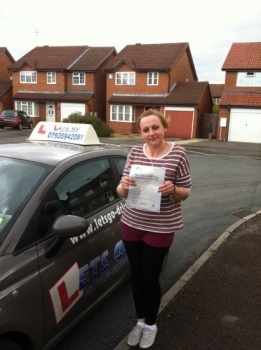 I Passed First Time with only 2 faults. Would defiantly recommend Sam to anyone. 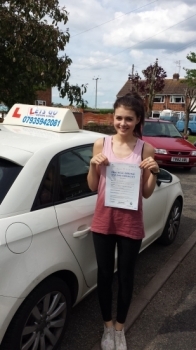 Sam�s lessons were well-structured, good fun but most of all you left each one feeling like you were one step closer to passing your test and being a driver. I don�t feel like one lesson or any money was wasted on any of my lessons or that I was being made to take more lessons (or pay more) than I needed to. 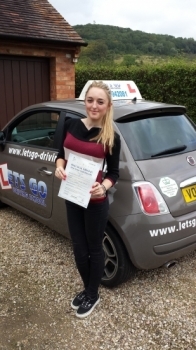 I have lots of other commitments with school, work, hobbies etc and the flexibility of times available for lessons was another good thing about lets go driving school. 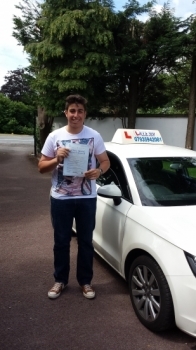 I felt Sam was patient, friendly and very effective as an instructor and felt his methods of teaching would suit anybody very well. 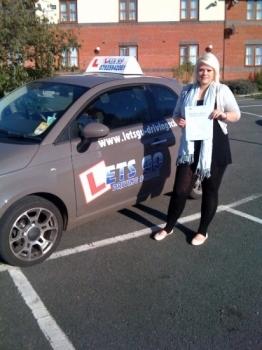 I passed my test with only 1 minor, I knew that I was ready to drive on my own. 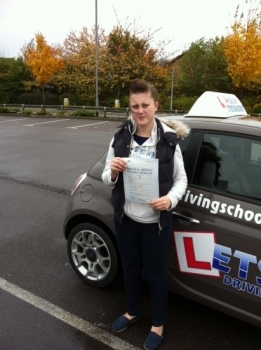 I wasn�t just taught to pass my test but also to be a good and safe driver. I would recommend Sam to anybody that is learning to drive. 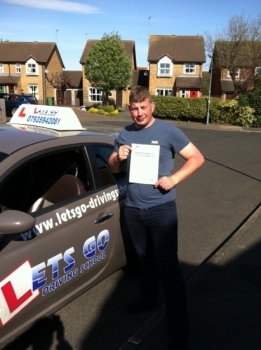 I passed First time and only 3 minors thanks to Sam, I would not been able to do it without Sam he is a Excellent |Instructor. I would highly recommend him to any one, I was so nervous the day of my test but Sam gave me a great pep talk before hand which really helped me to relax Sam is a pure LEGAND once again thanks a lot Sam could not have done it without you. Incredible teacher, passed me first time 2 minors after 24 hours, hero, thank you sam, would recommend him to everyone, 100% real driving on real roads. 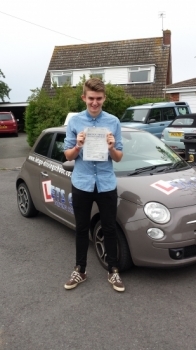 Learning with Sam was definitely the best choice, with his help I passed FIRST TIME with only 1 minor, something I never thought I would achieve! Sam helped me grow confident in my driving, from my very first lesson to my test he was always so positive and eager for me to achieve my best. Every lesson was fun and it was nice that Sam got to know me as an individual, knowing my strengths and weaknesses. Thank you so much Sam, you were the reason I did so well! I will definitely be returning to do my pass plus soon! When I first came to Sam I had already had many lessons with another instructor, but was still very hesitant and not ready to pass. Sam quickly identified my faults and fixed them within a few hours of driving. The lessons were relaxed but really efficient, and he used different methods to correct my problems. 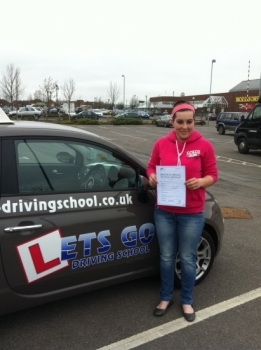 I soon had the confidence to go on and pass my test!! 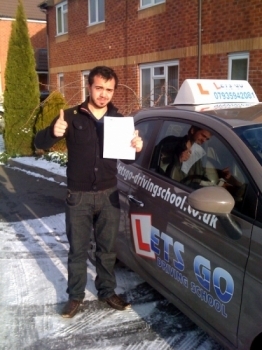 I�d definitely recommend him to anyone, whether starting to drive or with errors which need correcting. Thanks so much Sam, I really appreciate the help you�ve given me. 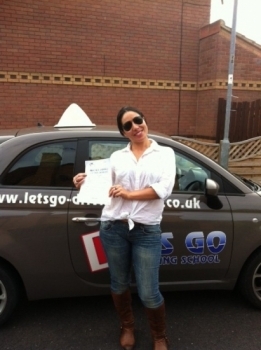 Learning to drive with let's go driving school really has been brilliant right from day one.. Although it took me three attempts to pass my test I am so grateful to you Sam for keeping me looking on the bright side - that it's not how many tests you take, it's how good you are at driving at the end of it! I'm now driving round in my little Clio full of confidence and I couldn't be doing this without you. 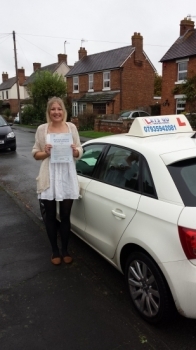 Sam really is a very patient driving instructor, as well as a good agony aunt when you�re not feeling your best! 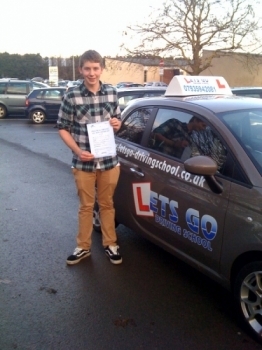 Thank you Sam, I would recommend let's go driving school to anyone! 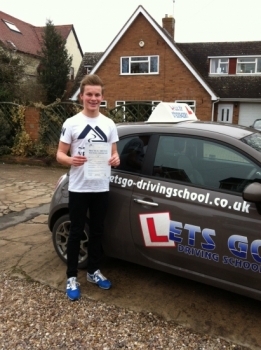 Many thanks Sam, for helping me pass FIRST TIME!! and all the hard work and patience, your ability to explain and demonstrate are excellent, I would highly recommend Sam to anyone. Let's go driving - A motivated statement and a motivated guy! 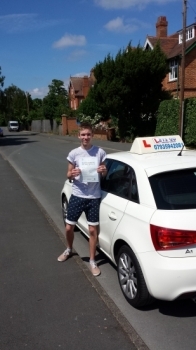 Not only does Sam teach you to drive in line with the DSA syllabus, Sam helps you gain the confidence and self belief you may lack and need in passing your test! Lessons are well planned and taken at a pace to suit you. At the end of each lesson Sam recapitulates everything you've been doing during that time, to make sure you've understood and if there is anything you feel you wish to focus on. Sam is very professional, understanding, patient, has a great sense of humor and is the guy you should be calling if you're looking to pass your driving test! 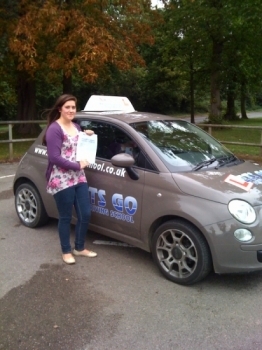 Many many thanks Sam for helping me PASS FIRST TIME!! I would like to express my sincere gratitude to Sam for fixing me within a short time and helping me pass my driving test i spent months and soo much money with another driving Instructor. 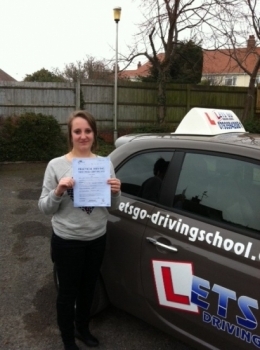 did more than the hours required but said i was still not ready for my practical driving test. 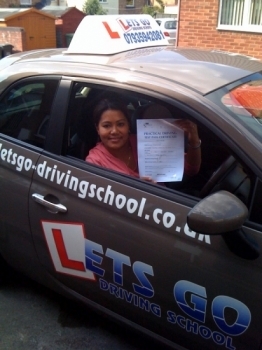 When I came to Sam, he noticed all my mistakes, fixed me within a short time and am now a licensed uk driver. yaaaayyy!! 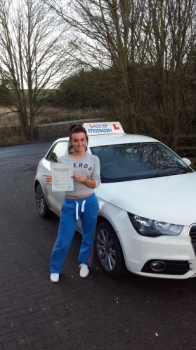 i am over the moon for passing my test, i wish i met Sam earlier i would have saved so much money and time. i am soo grateful to Sam, i appreciate everything. Bless u Sam. 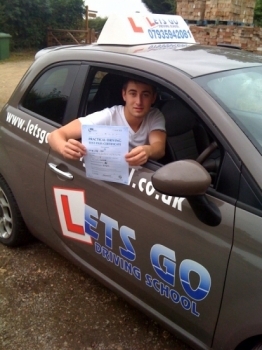 Sam is a great instructor who really helped me with my confidence when building up to my test I was a nervous wreck before I started with Sam, he has an approach to teaching which is fun but without being unprofessional. I passed my test first time with only 3 minors, I would recommend Sam to anybody without even thinking twice as he is a LEGEND!!!! 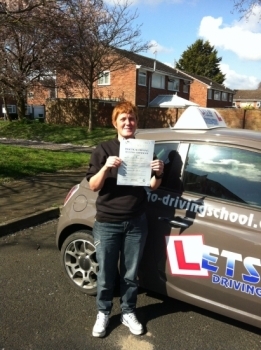 With Sam's help I passed first time. 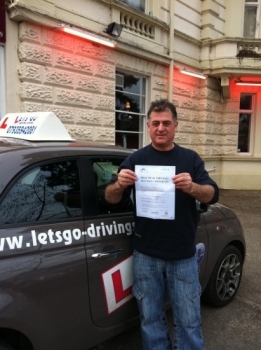 Sam is a patient and considerate instructor, I found him very informative and always helpful and approachable. I would definitely recommend Sam to my friends, Many thanks Sam couldn�t have done it without you! 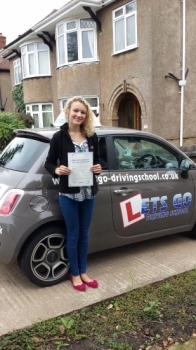 Learning with Lets Go Driving School has been excellent from day one, Sam has been really good, helping to build my confidence and preparing me for my test! He's a really descent bloke with tons of patience and kindness! I would defiantly recommend him to a friend in the future. I can honestly say that the school is of an outstanding quality. Just again Sam, thank you so much! 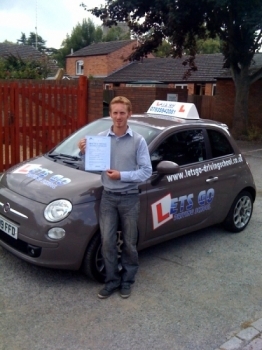 Sam is an excellent driving instructor who takes a professional yet fun approach to his lessons. 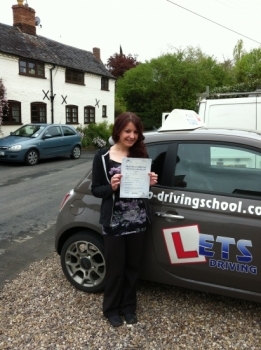 Today, i passed my test first time with 4 minors on a difficult route. He takes his time in his lessons, never rushes you and being picked up and dropped off at places before and after the lessons was helpful. The prices were cheap especially with the student discount and lessons bought in bulk. 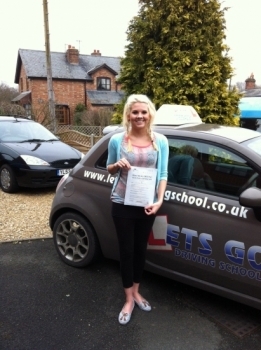 I would highly recommend Let's Go driving school to anyone looking to learn to drive, thanks again Sam.